Life has a funny way of reminding us what's important. Sometimes, when we've been focused on petty, trivial, insignificant things, God has a way of pointing us back to what's important - of shifting our focus and putting it all in perspective for us. Take the situation between Usher and his ex-wife Tameka Foster. Once upon a time they were in love, and together they built a happy blended family. But those good times were short lived, and their union ended in divorce. The situation turned ugly when they battled over money, visitation and the terms of their custody agreement. 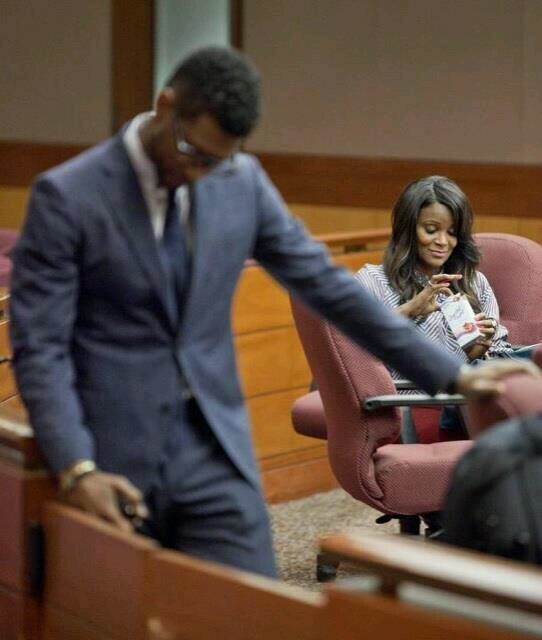 I blogged months ago about the sad state of affairs when Usher cried in court while Tameka sat by with a mean-spirited smirk on her face. Clearly, the love that these two once shared had been replaced by hurt, anger, bitterness and scorn. Anyone can see that Usher was unselfish, and did not resort to vindictiveness or negativity. There are many men who would have seen this situation as bad karma, and they may have turned away and opted not to get involved. After all, it wasn't one of his sons, so he had no obligation to do anything at all. But, Usher put all of that aside, and is said to be broken up about this tragedy, and he has clearly put their issues aside in order to be there for his ex-wife. Isn't God incredible? Sometimes, in His divine wisdom, he teaches us lessons without ever 'saying' a word. Some lessons are harder than others, more painful and life-changing. But, if we allow ourselves the time to heal and if we are willing to do the hard work of self-examination, we can see the message that God is sending us when things go wrong. While this situation is definitely NOT ideal, and while Kyle's life has been cut tragically short, perhaps the only positive result of all of this will be that Usher and Tameka can put their issues with each other in perspective. Hopefully, they can set aside their petty problems and see the bigger picture: that life is short, that tomorrow is not promised, that the little things don't really matter at all. What does matter are the things we can't put price tags on - family, love, and the most precious gift we've all received called LIFE. My prayers are with Tameka Foster and with Usher and the rest of their family. They are living every parent's worst nightmare. May God comfort them in their grief, and give them peace. And may we all take a lesson from this. As relationships dissolve, friendships end, things fall apart, and life moves us in opposite directions, let's not sink into bitterness, ugly behaviour and resentment. Life is precious. And it never pays to sweat the small stuff. Let's never lose sight of that. Thanks, Sheryl. My heart aches for this family. Very sad situation, but a lesson exists in all things. I SWEAR I JUST TOLD MY MOM THIS THIS MORNING!!!!! GREAT MINDS THINK ALIKE!!! LOVE LOVE THIS ARTICLE!!!! AND IM GLAD IT'S NOT JUST ME WHO THOUGHT ABOUT THIS! My daughter said the same thing, Kiara. It's sad that it took something so tragic to (hopefully) get them to put their pride and feelings aside. When stuff like this happens, we're reminded of what's truly important.